Far from “denying access” to the Temple Mount, Israel decided to install metal detectors at the entrance to the holy site after Arab terrorists smuggled guns there on July 14 and embarked on a shooting spree that claimed the lives of two Druze-Israeli police officers. 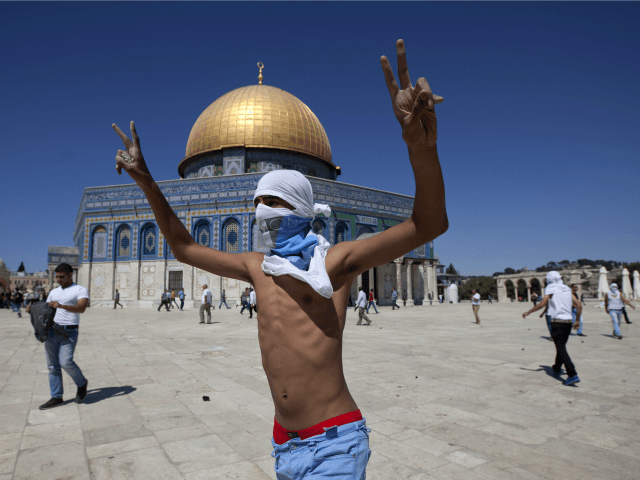 The Palestinian leadership, however, claimed the additional security measures were part of an Israeli attempt to change the status quo on the Temple Mount and called on all Muslims to take to the streets and riot. The Simon Wiesenthal Center pointed out that security measures such as metal detectors are par for the course at religious sites all over the world, including Muslim holy sites. In 2015, Saudi Arabia introduced a range of new measures, including electronic bracelets, for Muslims making the Hajj pilgrimage to the religion’s holiest site in Mecca. The new restrictions were put in place after a would-be suicide bomber was captured. In response to an ongoing wave of Islamist terror attacks in Europe, major Christian sites on the continent, including, most prominently, the Vatican, have also bolstered security measures. The Church is also a chief endorser of the Christian “Kairos Palestine” document, which describes Palestinian terror attacks as “Palestinian legal resistance,” as well as theologically denying Jewish historical ties to Israel.